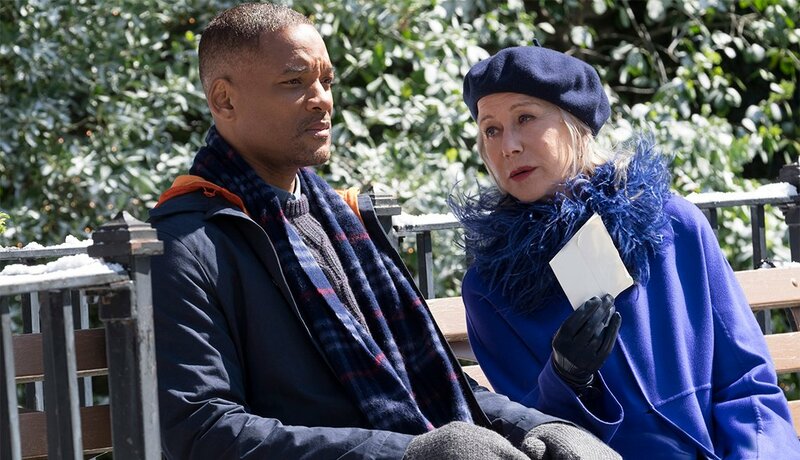 In her new film, Collateral Beauty (costarring Will Smith), Helen Mirren represents the concept of death, but she has a softer side, too. 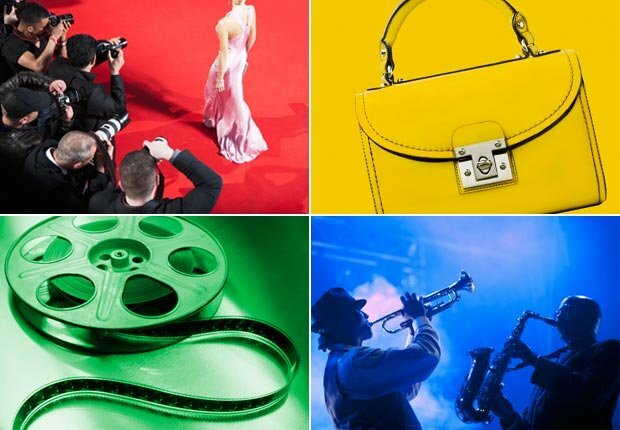 Here’s a look back at her notable romantic roles — and the actors who played opposite her. Cal (1984): Cal (Lynch) is a slaughterhouse worker and Irish Republican Army terrorist who falls in love with Marcella (Mirren), the widow of a man he has killed. Mirren won a best actress award at the Cannes Film Festival for this role. 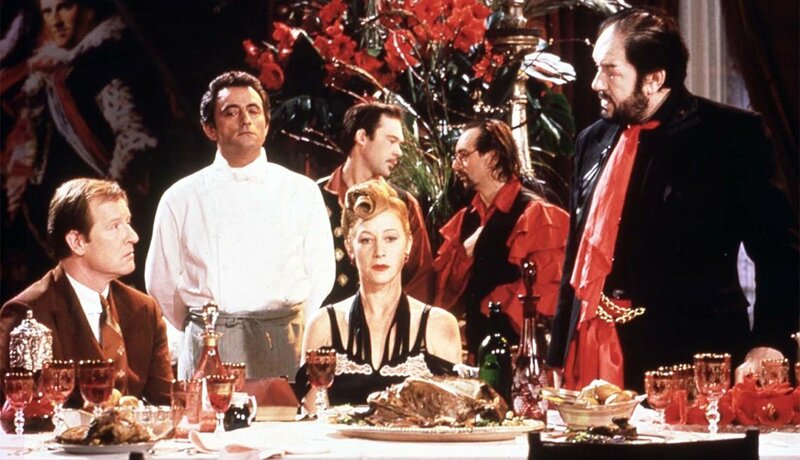 The Cook, the Thief, His Wife & Her Lover (1989): Mirren plays Georgina, a woman who engages in a secret love affair with a bookseller named Michael (Howard) at the restaurant her barbaric gangster husband (Michael Gambon) owns. When the affair is discovered, things don’t go well, to say the least. 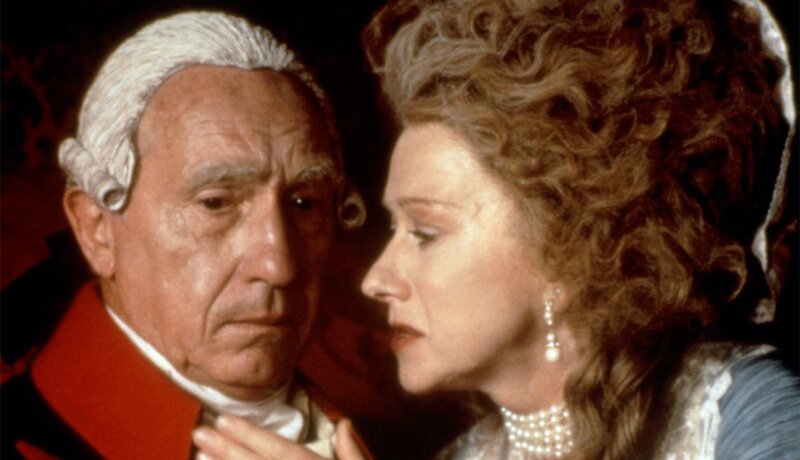 The Madness of King George (1994): This dark comedy tracks the mental decline of King George III of England (Hawthorne). Mirren plays his wife, Queen Charlotte, who works to ensure the crown stays with the erratically behaving king instead of his son, the Prince of Wales (Rupert Everett). Shadowboxer (2005): Gooding and Mirren play partners in crime in this thriller. 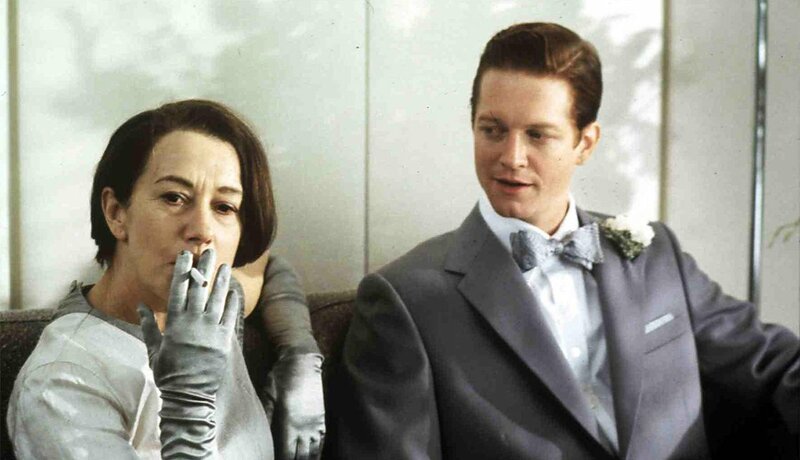 Mikey (Gooding), a hired killer, works alongside his lover and stepmother, Rose (Mirren). Then Rose, who has been diagnosed with terminal cancer, balks at carrying out a hit against a woman in labor. 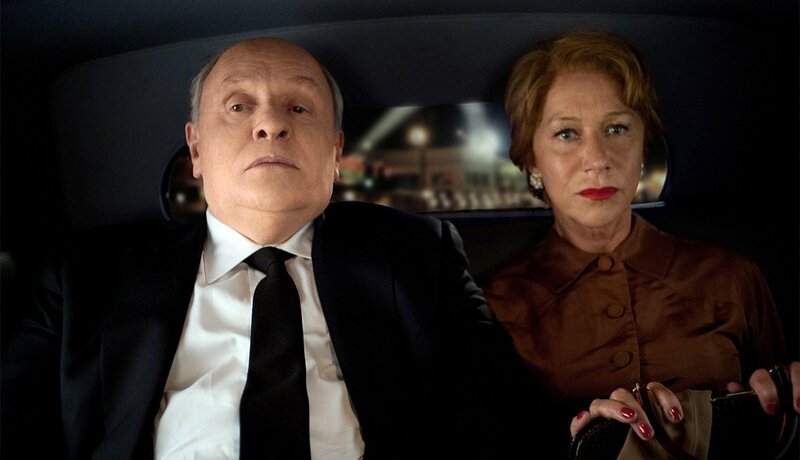 The Queen (2006): Mirren portrays Queen Elizabeth II, a role for which she won an Academy Award for best actress. (She also won a Tony for playing the queen in the stage adaptation of The Audience.) 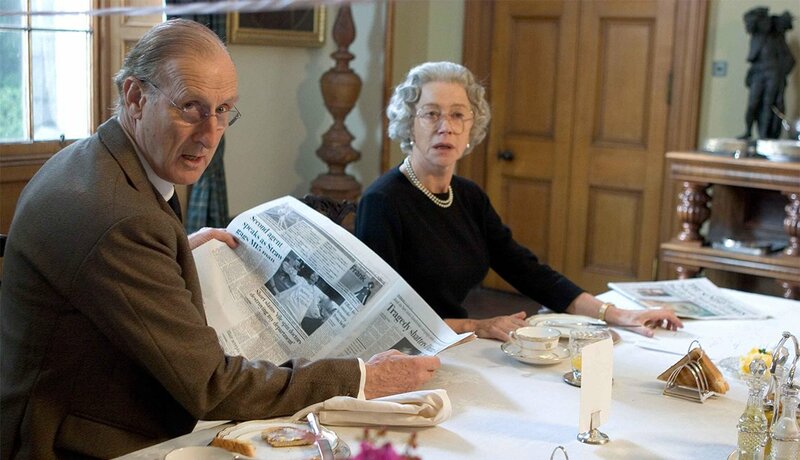 Cromwell plays her husband, Prince Philip, in this film that dramatizes the response of the royal family to the death of Princess Diana in 1997. 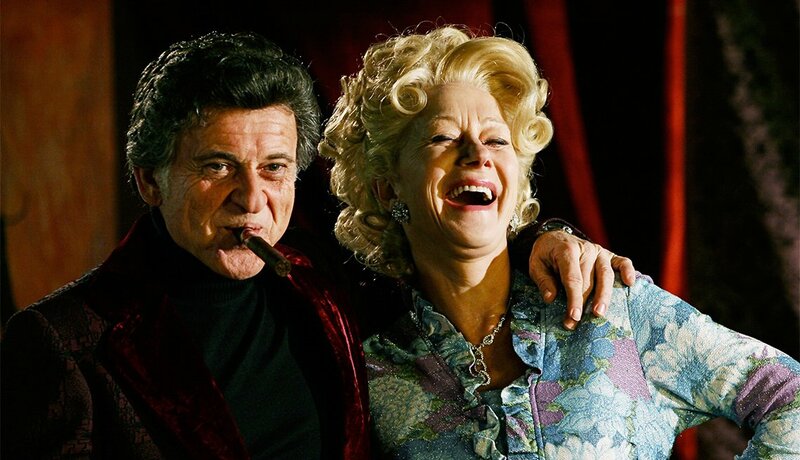 Love Ranch (2010): Mirren and fellow Oscar winner Pesci costar as Charlie and Grace Bontempo (based on real-life husband and wife Joe and Sally Conforte), the married couple who operated the first legal brothel in Nevada. The film was directed by Mirren’s real-life husband, Taylor Hackford. Hitchcock (2012): This film dissects the relationship between Alfred Hitchcock (Hopkins) and his wife, Alma Reville (Mirren), during the making of Psycho. Mirren also played alongside Hopkins the following year when she reprised her role as the spy Victoria Winslow in Red 2, and he played the physicist Edward Bailey. 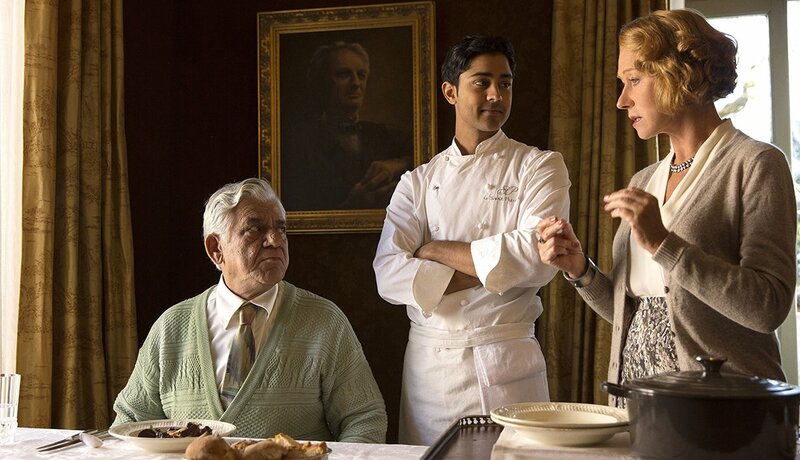 The Hundred-Foot Journey (2014): Mirren portrays Madame Mallory, the owner of a fancy restaurant in France who feels threatened by the opening of an Indian restaurant across the street. Her clash with its owner, Papa Kadam (Puri), eventually turns to love.